Well, water formation on the back wall of the fridge is entirely normal. Water will get condensed and collected at the coldest point. The cold water holds less moisture than warm air. And the water condenses on the rear interior part because of the location of the evaporator. The evaporator is responsible for extracting the warmth from the interior. The most affected appliances: Usually, a refrigerator that features a rear wall evaporator with no vertical plate, mostly face moisture and ice on the rear walls. But, the condensation still happens in appliances with the vertical partition plates that hide the droplets. How the appliances get affected by the water and ice? Water accumulation on the rear wall is completely normal, but make sure there will be a few drops accumulated in the rear front. In case, water starts accumulating in the condensation drainage channel it could cause a blockage. 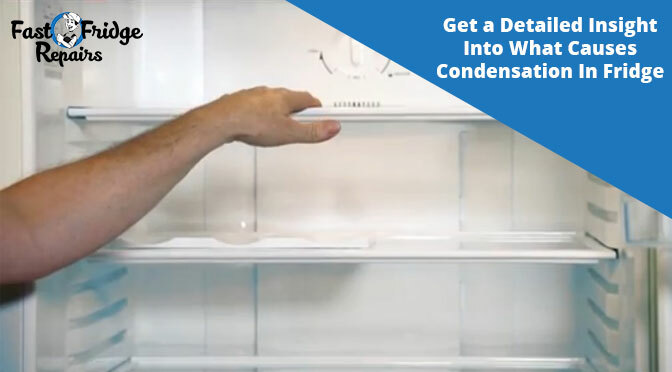 Hence,refrigerator repair experts in Sydney recommend to clean the channel and allow condensation with proper drainage. 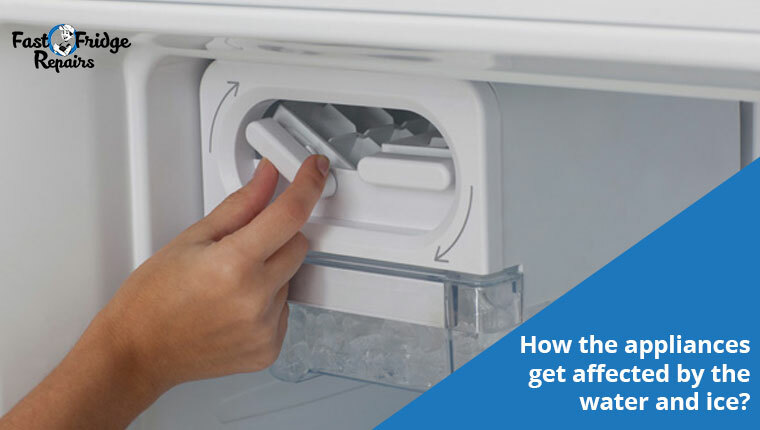 However, our most fridges come with a design to deal with a small amount of condensation through a small drain. The high temperature in the fridge: In case, the fridge temperature is high, the compressor needs to run longer to maintain the required temperature in the refrigerator that result in ice build up. The low temperature of the thermostat: In case, the thermostat temperature is set as too low, the air in the fridge will absorb less moisture, increasing the moisture formation at the coldest point. Moreover, for more cooling power to the refrigerator, the compressor has to run longer. In relation to the compressor running time, it reduces the refrigeration leaving less time for condensation. Wet food items: When you store water-rich foods like meat, fish, vegetables or any dairy product, it causes the refrigerator compartment to release a lot of moisture into the fridge interior. Moreover, avoid putting warm food in the refrigerator until it is completely cooled down. Frequent opening of the door: Due to frequent closing and opening, it allows the warmth and moisture to get into the refrigerator. It increases the load of the compressor to return the interior temperature. A door seal lacking airtightness: Even if the water is getting drained properly and the rear wall is still icy or water puddles are being created- it shows the sign that it is not airtight and you need refrigerator repair service. Did you know a small hole in the door seal let the moisture and warm air get into the fridge? Lastly, some fridge models come with the freezer option at the bottom. So, when you shut the freezer door hard, it can pop the fridge open. Moreover, make sure the magnetic door seal is not worn or ripped that often can cause a condensation problem. Previous Post: Is Buying a New Fridge is better than Replacing the Compressor? Next Post: “Holy LORD- My Fridge Is Freezing Everything!”- HELP…?